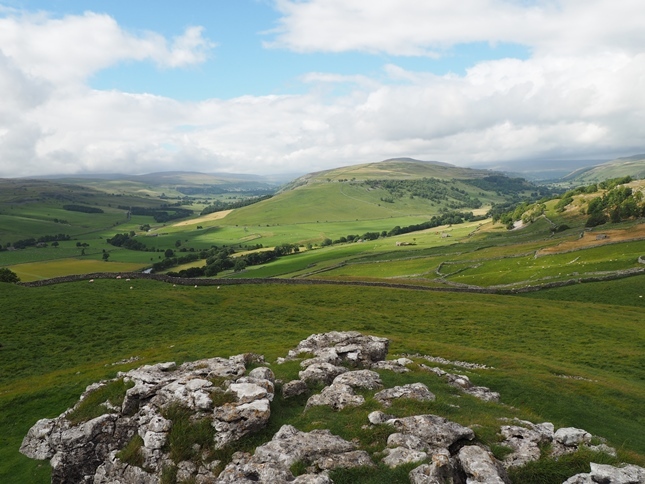 Conistone Pie is a prominent limestone outcrop shaped, unsurprisingly given the name, like a pie and commands great views of Wharfedale and Littondale. Sat on a small grassy knoll Conistone Pie is fairly modest in terms of height but its shape and positioning over the valley make it a favourite stopping point for walkers between Kettlewell and Conistone. The top of the Pie is sometimes topped with a small cairn though in truth it doesn’t really need this extra adornment. 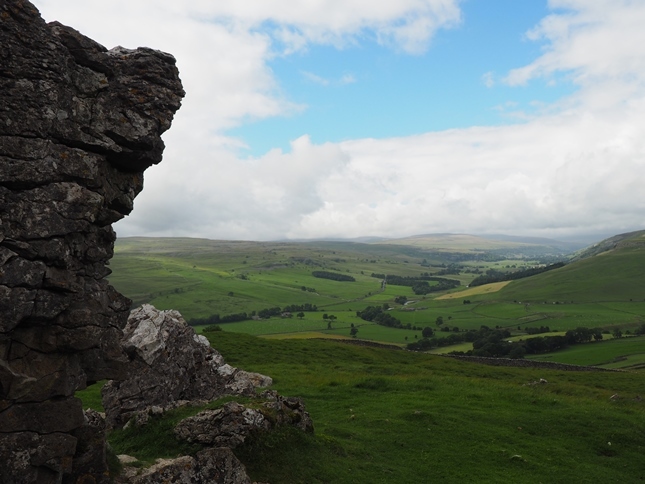 The extensive views include both Littondale and Wharfedale which are divided by the Birks Fell ridge. The view up Wharfedale extends as far up the valley as Buckden Pike and Yockenthwaite Moor. 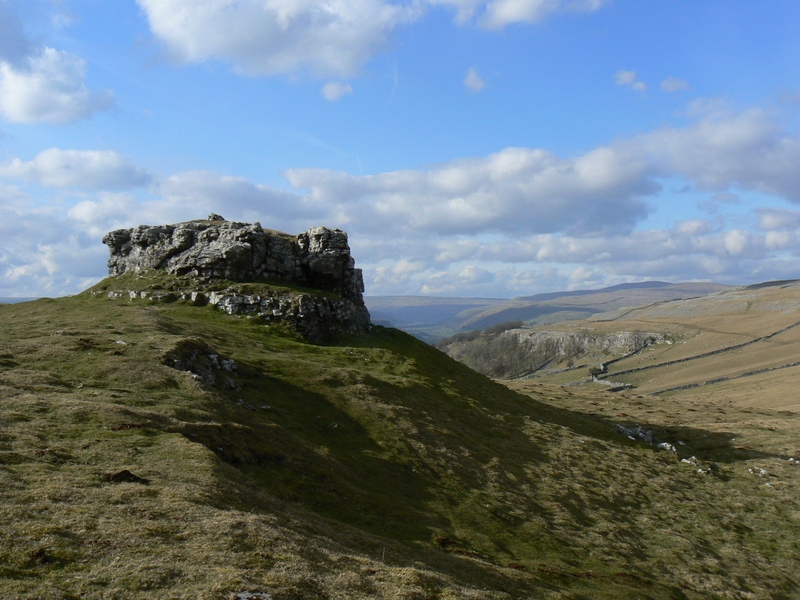 Down to the left meanwhile is a good view of another of Wharfedale’s finest limestone features – Kilnsey Crag. Conistone Pie can easily be reached from Conistone, most directly via Scot Gate Lane or more excitingly via Conistone Dib. 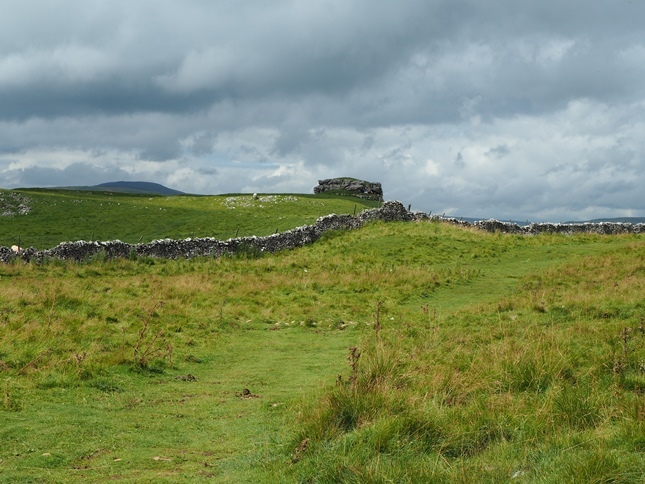 It sits alongside the Dales Way so can also be easily reached by walking south on that path from Kettlewell.